Bush and Cheney claimed torture was the only option. These soldiers, agents and nurses proved them wrong. Back in August 2014, Obama explained the urge of the top figures in the Bush administration to torture “some folks” this way: “I understand why it happened. I think it’s important, when we look back, to recall how afraid people were when the twin towers fell.” So naturally, in those panicked days, the people in charge had little choice but to order the waterboarding, wall-slamming and rectal rehydration of whatever possible terrorists (and innocents) the CIA got their hands on. That’s what fear drives you to do and don’t forget, at the time even some mainstream liberal columnists were calling for torture. And whatever you do, don’t forget as well that they were so, so afraid. That’s why, says the president, “It’s important for us not to feel too sanctimonious,” too quick to judge the people in the Bush administration, the CIA and even the US military who planned, implemented and justified torture. Wouldn’t anyone do what these men did, if they, too, were frightened out of their wits? Actually, no. In fact, the sad, ugly story of the US response to the criminal acts of 9/11 is brightened by a number of people who have displayed genuine courage in saying no to and turning their backs on torture. Their choices prove that Bush, Cheney & Co. could have said no as well. Sergeant Joseph M. Darby: If it hadn’t been for a 24-year-old soldier named Joe Darby, we might never have heard of the tortures and abuses committed at Abu Ghraib, twenty miles outside Baghdad. It had once been Saddam Hussein’s most notorious prison and when the US military arrived in 2003, they put it to similar use. 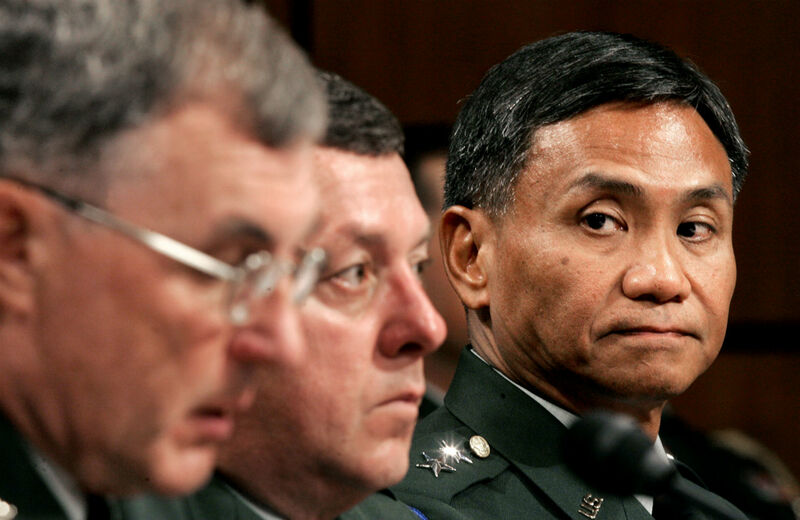 Major General Antonio M. Taguba: When the photos of Abu Ghraib came out, so did the calls for investigation into what many people hoped was either (1) not as bad as it looked (Rush Limbaugh famously compared it to fraternity hazing); or (2) a unique aberration. The Army picked General Taguba to investigate and he complied. The 2004 Taguba Report—officially, the “Article 15-6 Investigation of the 800th Military Police Brigade”—is a model of restrained rhetoric in the service of devastating revelation. Read it and weep. John Kiriakou: Presently finishing a thirty-month term—nearly two years in federal prison, a halfway house and now home confinement—for having inadvertently disclosed the last name of a fellow CIA agent to a reporter. Threatened by the Obama administration’s Justice Department with a thirty-eight-year sentence for espionage, Kiriakou pled guilty to a lesser charge of releasing classified information. His real “crime,” however, was his refusal to participate in torture and his disclosure first to ABC News in 2007 that the CIA had used waterboarding, a torture technique of repeated near drowning, on suspected Al Qaeda operatives. As a result of his refusal, the Navy sent him back to the States and threatened him with court-martial and prison. That threat has been taken off the table, but the eighteen-year Navy veteran still faces possible involuntary discharge, and with it the loss of his pension, healthcare and education benefits under the post-9/11 GI Bill. In spite of the risks, he stepped away. In the 1960s, psychologist Stanley Milgram conducted a famous series of experiments, in which subjects were convinced by white-coated authority figures to deliver what they believed to be painful and life-threatening electric shocks to people they believed were also experimental subjects. In the years since Milgram published his research into ordinary people’s willingness to torture strangers they’d just met, many people have come to believe that almost everyone will go along with torture—even if they’re not particularly scared. In fact, that’s not what Milgram found. A substantial minority of his subjects—around 35 percent—refused, and similar minorities have refused in subsequent studies.